Free Utilities to Improve the Life of Your Family! Expenses are a fact of life. While you cannot escape paying bills and purchasing items to support your family, you can plan for these expenses. Utilize calculator tools to estimate expenses, which can help you plan for them. From raising children to maintaining a car to estimating your mortgage, expenses seem more manageable when you use a calculator to plan for them. With careful planning, you may be able to make your income stretch further. Raising children requires significant expenditures. Plan for these expenses by using calculator tools that will help you estimate the money you will need to spend. If you place your children in daycare, you may want to estimate this expense. Some families wish to explore their options, comparing the expenses involved with childcare with having one parent stay home to care for children. 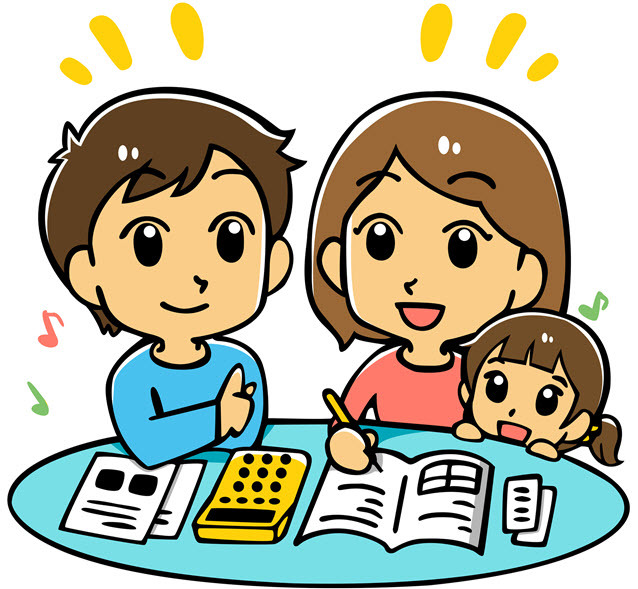 Families who homeschool children can also project expenses involved with this choice of education style. Budgeting Childcare Options - ChildCare Aware provides a budgeting calculator to help families determine if they can afford child care. Stay at Home Calculator - Calculate expenses to determine whether you can afford to stay at home with your children. Resources For Colorado Parents & Families - Qualistar Colorado provides resource links for families exploring child care options. Child and Dependent Care Credit - Learn whether you qualify for a tax credit for child or dependent care. Secrets of Organized Families: Insider Strategies for Getting your House in Order - Organize the family with tips and basic guidelines for every room in the house. USDA Cost of Raising a Child Calculator - The United States Department of Agriculture provides a tool to calculate the costs of raising a child. How Much Will it Cost to Raise Your Child? - Explore the expenses associated with raising a child using a tool offered by CNN Money. Living Wage Calculator - This calculator enables you to determine whether you currently earn a living wage or whether you are living in poverty. Calculating Your Child Support - When exploring child support obligations, use this tool to calculate what you might pay. Children and Family Finances -- The Cost of Raising a Child (PDF) - Review information provided in this publication to explore the costs of raising a child. How Do Courts Calculate Child Support? - Learn about how courts determine the amount of child support for a child. What Does it Cost to Homeschool? - Explore the costs to homeschool a child throughout the entire academic career. It may help to allocate a specific percentage of your income for expenses. For example, you might wish to spend no more than 18 percent of your income on food. Your utility expenses can combine with other housing expenses to be less than 40 percent of your income. A goal for automobile and transportation expenses may be to keep these costs at no more than 10 percent of your total income. Budget Worksheet - The Washington Post offers a budget worksheet for consumers. Family Budget Calculator - Measure your family income to help spread it across your family's expenses using this tool. All-in-One Monthly Expense/Budget Calculator - Enter your monthly expenses into this calculator to create a family budget. Basic Needs Budget Calculator - Learn the income your family needs to meet your expenses using this calculator. Calculator Your Needs - Use this calculator to determine your life insurance needs. Calculate Your True Cost of Driving - Prepare for car ownership by learning the overall expenses involved in owning a car. True Cost to Own - Learn about hidden costs of car ownership using this calculating tool. The Real Costs of Car Ownership Calculator - Car ownership is the second biggest household expense in the United States. Learn about the costs associated with owning a car using this calculating tool. What Is 5-Year Cost to Own? - Kelley Blue Book offers information about typical cost-to-own expenses over a five-year period. What That Car Really Costs to Own - Consumer Reports provides information about car ownership. Your Driving Costs (PDF) - Learn about the costs involved with driving with information provided by AAA. What You Should Spend - The Iowa State University offers a budgeting tool to help families determine what they should spend on groceries. Calculator: How Does Your Food Spending Stack Up? - Use the tool provided by Mother Jones to determine whether food spending is appropriate. How to Calculate Your Expenses - Wells Fargo recommends tracking expenses to create a monthly budget. National Standards: Food, Clothing, and Other Items - The Internal Revenue Service offers information about food, clothing, and other expenses at national standards. Calculating the Savings in Growing Your Own Food - Determine your savings by growing your own food using information provided on this website. How to Estimate Utility Costs (PDF) - Explore typical utility expenses to estimate the costs of operating your home. Owning a home is a common goal for many consumers. Before proceeding with a mortgage, it's prudent to determine how much you can afford in a house payment. Your total housing expenses include your mortgage or rent payment, homeowner's or rental insurance, and utilities such as heat and electricity. You may also wish to perform home renovations to make improvements to your home. Before proceeding with a home improvement project, utilize a calculator to estimate the costs involved. Installation Cost Calculators - Explore various calculators available to estimate the cost of home renovation. Project Calculators - Home Advisor provides calculators to estimate the expense of home improvements such as installing carpet or painting. Get An Estimate Before You Start - Before beginning a home improvement project, learn how much it might cost using this tool. Down Payments - resources to help homeowners figure their required downpayment and save to reach their homeownership goal. Tax Calculator - Enter basic information to learn estimated tax liability. Free Tax Calculator - Estimate your tax refund by entering information into this calculating tool. Estimate Tax Refund - 2015 Tax Calculator for 2014 Tax Return - This free tax calculator will provide an estimate of taxes or refund due. Tax Calculators - This website offers a variety of tax calculators to help people estimate estate taxes, self-employment taxes, or earned income tax credit. Tax Calculators & Tools - Explore a collection of tax calculators to help you estimate your taxes. Marriage Bonus and Penalty Tax Calculator - Estimate marriage bonus and penalty taxes using this calculating tool. Maintaining your health and paying for health care is an integral part of life. Staying healthy often necessitates ongoing health care from physicians and other health professionals. Health insurance can make this care possible, but you will need to add this expense into your budget. Estimate health insurance and other expenses using calculating tools. Health Insurance Marketplace Calculator - Calculate an estimate of health insurance premiums using this tool. Can You Afford Health Insurance? - Use WebMD's health insurance calculator to determine whether you can afford health insurance. Health Care Costs Calculator - Explore health care costs using this calculating tool. Calculator: See What You Qualify For - Enter your basic information into this tool to determine what benefits you might be able to receive. Calculate Your Options - Determine whether you can save money by utilizing the Health Insurance Marketplace. How Much Will My Health Insurance Cost? - Learn what health insurance might cost you using the resources offered on this website. 'How Much Will Obamacare Cost Me?' Try Our Calculator - National Public Radio offers a calculating tool to help consumers explore health insurance costs. Understanding Health Insurance Costs - Medical Mutual offers assistance to consumers for exploring health insurance costs. Recreation is an important part of family activities. Plan expenses involved with recreation and sports, including vacations and trips. You might set aside a specific amount to save each month to pay for a planned vacation. Use calculator tools to estimate the cost of trips and travel. Some calculators help you devise a savings plan to pay for a vacation. My Trip Calculator - The U.S. Department of Energy provides a tool for calculating the expenses involved with road trips. Travel Budget Calculator - Estimate travel expenses using this travel budget calculator. A Travel Planning Guide - Plan a vacation by exploring the expenses involved to ensure that you can afford the trip. Travel Cost Calculator - Use this calculator to estimate the costs of traveling between two locations. Trip Cost Calculator - This calculating tool provides an estimate of gas costs to travel between two locations. Account Budget Estimator - When planning a Disney vacation, use this tool to estimate the costs of your trip. Your Next Vacation - Save Now and Enjoy or Pay More Later - Use this tool to help you devise a savings plan to prepare for a vacation. Spending Planner - Create a spending plan to help you achieve financial goals. Calculating Expenses for Your Special Needs Child (PDF) Plan expenditures associated with a special needs child. Long-term planning is also an important part of financial management. When you have children, you may wish to start a college fund to save for their advanced education. Savings calculators can help you estimate how a savings plan will grow with regular deposits. You can also plan for retirement using various calculating tools. Some tools help you determine how much you should save based on the amount of money you will need. Other tools help you estimate how your retirement savings will grow depending on how you invest your money. Estimate Your College Costs - Use this calculator to estimate upcoming college costs. Savings and Planning Calculators - Devise a savings plan using these savings calculators. Savings Growth Projector - Prepare for college expenses by planning how you will save to pay for it. Savings Bond Calculator - Treasury Direct provides a calculator to enable you to estimate your savings bond earnings. Savings Goal - Make savings goals using this tool to estimate your progress. Retirement Income Calculator - Vanguard offers consumers a tool for calculating the income needed during retirement. Investing Strategy Retirement Calculator - Plan investments to pay for retirement using this calculator. College Savings Planner - John Hancock Investments provides a calculating tool to plan college savings. College Savings Calculator - Use this Raymond James calculator to prepare for college expenses.